I have SO many books. This was hard to narrow down.. I am so excited to read this! It sounds absolutely amazing. Another one that I am really really looking forward to getting into. I am intrigued by this book. And I want to read it before the movie comes out next year! This book has been on my to-buy pile for AGES! I only bought it recently, though. 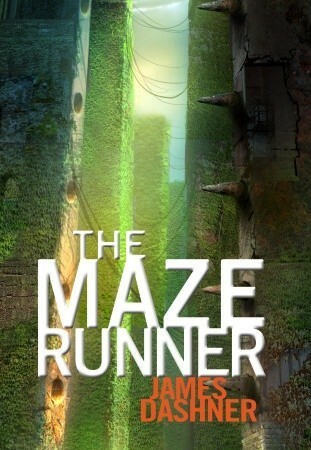 The sequel to The Maze Runner, which I loved. I want to read this one ASAP and get into the third instalment! I feel so behind and left out! I haven't read any of the Mortal Instruments series :O Plus, the movie is also coming out next year! I started reading the first page because I was bored one day.. so I feel very inclined to continue. Plus, I am really drawn by the synopsis. I will be studying this for school next year, so this will be an important book that I need to read. I also started reading the first page of this before closing the book and reading Beauty Queens. The pictures are so eerie and I am curious to read the book. Video review of The Maze Runner. Further book details and a quick review overview is located below the video, if you just want an idea of what I thought about the book. So much mystery, and extremely creepy. Loved the male protagonist. Incredible and developed characters. The mental imagery it creates is so vivid. Absolutely loved it. This one came to my mind first. And for an appropriate reason - I cries my eyes out at the ending of this book. Utterly heartbreaking, and I was just so upset! Initially, I was in a bit of a shock. I couldn't really believe what had happened. I was a bit numb. I ended up re-reading the last few pages over, and over, and over again. After the second re-read I was in tears. Then I just kept going over it, because I was still shocked and wishing that what had happened didn't. I cried my little heart out for this one, as well. Another heart wrenching ending to an amazing book. Although this book, as well as Naughts & Crosses made me cry so much, and the endings were so depressing, I loved them. The book is incredible, and the ending brought out such a strong emotional reaction, enforcing my love for it all the more. My emotions within this book were slightly different. I did cry towards the end, but I wasn't as upset - I didn't have a strong connection to particular characters which caused the upset. I was more emotionally attached to Tris. In my review, I mention how I felt so in tune with Tris' emotions - I felt what she felt as I read the book, whether it be butterflies in my stomach, upset or distraught etc. I also had plenty of laughs whilst reading witty comments by some of the supporting characters. I get so completely drawn into the story and the world, that when I finished each book, I was stunned and I didn't know what to do. I had such strong emotional connections with everyone involved and I felt like I was there with Katniss in the arena, experiencing everything alongside her. This was a little different to Divergent where I felt as if I were the protagonist. I was inside Katniss's head, but at the same time I felt like I was accompanying her. As the end of an amazing series, I was a bit emotional when the end came around. I loved Rose's adventures and I will certainly miss her stories. I also got fairly emotional, by this I mean extremely giddy, when the romantic scenes popped up. I found myself blushing, with butterflies in my stomach. How about you? What books make you really emotional? NaNoWriMo has officially begun! So for my first update, I am just going to give you some kinda.. vague... details about what my story is about. Well is about a girl. And there's a guy involved... That's always fun. It is dystopian. There are some sci-fi elements, but it is very scarce. As for hours slept, that began from 12:00 am on the 1st November. And hopefully I don't end up completely exhausting myself, but it will be very interesting! I am off to a reasonable start. I have discovered that I need to do a bit of research as well so I have been doing a little snooping on the interwebs for relevant information. If you are doing NaNo, tell me how you are progressing so far! I will be back later with more updates and hopefully a video. 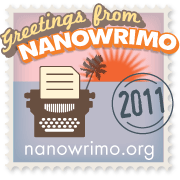 Yes, this year I will be participating in the madness that is NaNoWriMo, aka. 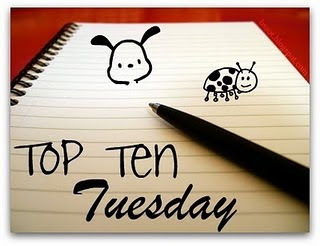 National Novel Writing Month. For those of you who are unfamiliar with NaNoWriMo, it is where crazy people like me, who love to write, attempt to write a 50,000 word novel throughout the month of November. I attempted NaNoWriMo last year and got off to a pretty good start, but seeing as I had 2 weeks of exams in the middle of November, I fell off the wagon and abandoned my story. So, I am trying again this year! And thankfully I have no exams during the month.. I just have a couple of important assignments due but hey, NO WORRIES! As writing 50,000 words in 30 days will most definitely take up a lot of my time, alongside school and work, my posts will be reduced to NaNo updates and rambles (I will try to post some good tips and hints I come across for those of you who are also joining in), and I will have a few memes and reviews posted, hopefully. This is just a heads up. I will be back tomorrow with a Day #1 update. I shall be back to normal next month. Maybe. If I am not completely insane by then..